Thyroidectomy is a surgical process wherein the whole or a part of the thyroid gland is removed. This surgical process is used to treat thyroid disorders such as thyroid cancer, goiter, hypothyroidism or underactive thyroid and hyperthyroidism or overactive thyroid. The size of the thyroid gland being removed during thyroidectomy depends on the reason of the surgery. 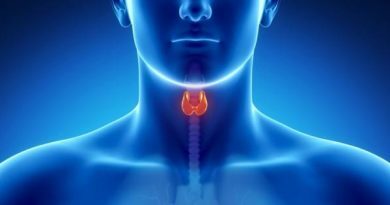 If only a partial thyroidectomy is done or only a portion of the thyroid gland is removed, the thyroid gland may still be able to function normally after the said surgery. 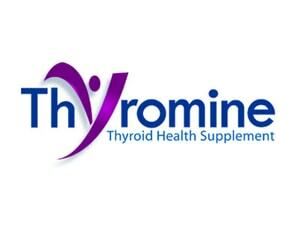 However for total thyroidectomy or the whole thyroid gland is removed, a daily treatment for thyroid hormones is needed to replace the thyroid’s natural function. To prevent myxedema, a post thyroidectomy treatment must be done routinely. Myxedema is a disease caused by a decreased activity of the thyroid gland. A thyroidectomy incision may require a little or no care after the dressing is removed. To avoid any infection, the incision may be bathed gently with a mild soap. The sutures or the metals clips are removed three to seven days after the operation. Total thyroidectomy is the complete removal of the thyroid gland. This is standard procedure for thyroid cancer treatment. There are different reasons for performing total thyroidectomy, such as hyperthyroidism or an overactive thyroid gland, suspected or confirmed thyroid cancer, compression or thyroid is enlarged to the extent that other structures are already compressed in the neck and cosmetic or enlarged thyroid that causes a lump on the neck which a person may consider unsightly. Removing the entire thyroid gland can be sufficient enough to cure thyroid cancer. Total thyroidectomy can also relieve the symptoms of compression. The thyroidectomy surgical procedure begins with the use of general anaesthesia. Once the anaesthesia takes effect, the procedure begins with an incision around 2 to 4 inches long. This incision is done horizontally over the thyroid. A scalpel is used to remove a portion or portions of the thyroid. Once the thyroid has been removed, necessary samples will be taken and the area will be examined for bleeding. Once the bleeding stops the incision will be closed. It can be closed with staples or sutures. A sterile bandage is then applied to the incision. Complications may arise after thyroidectomy as with all other operations. People who are old, obese and have poor nutrition are at greater risk in developing complications. An individual may also experience hoarseness or voice loss if the laryngeal nerve is injured or destroyed during the operation. People who have large goiters or cancerous tumors are more prone to nerve damage. Wound infections may also occur. When this happens the incision is drained, however, there are usually no serious consequences. Thyroidectomy recovery depends on the thyroidectomy type and thyroid surgery procedure. Minimal surgeries may only translate into shorter hospital stays and recovery period. But it is still a case to case basis. Healing varies per individual therefore it is close to impossible to tell how long am individual can really recover after an operation. Doctors can just provide a timeframe but not the exact timeframe. Partial thyroidectomy recovery may be as low as one to 2 weeks hospital stay before one can go back to the norms and go back to work. An individual will be moved to the recovery room after the surgery and will be restricted to a liquid diet for a while. Calcium levels will be monitored and difficulty or pain in swallowing may be experienced for 2 to 3 days. Instructions on how to change dressings will be provided if required. After discharge, an individual should already be able to walk, eat normally and go to the bathroom without assistance. Should any abnormalities be found, it is best to consult a doctor. Overall thyroidectomy recovery may be kept to the minimum if instructions are followed properly.